My work represents the myth of the Wendigo: the spirit of the lonely places, integrated with other archetypically similar myths (the Japanese ghost story of the Yuki-Giant, or snow woman, and a popular representation of a ghost). Influenced by the Wandjina spirit in traditional Aboriginal cave drawings, I have drawn parallels between the tales. Under the single title Wendigo , they attempt to show the dark counterparts of the human psyche. 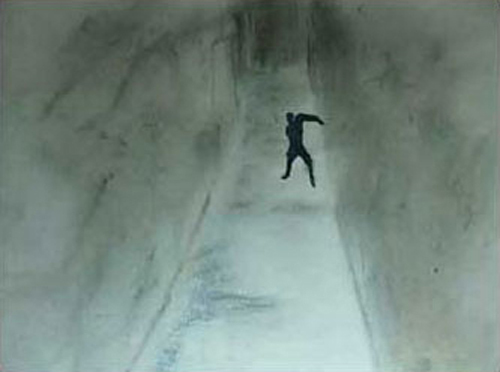 The images were created using a combination of pastels and painted transparencies, which were then animated through stop-motion technique.